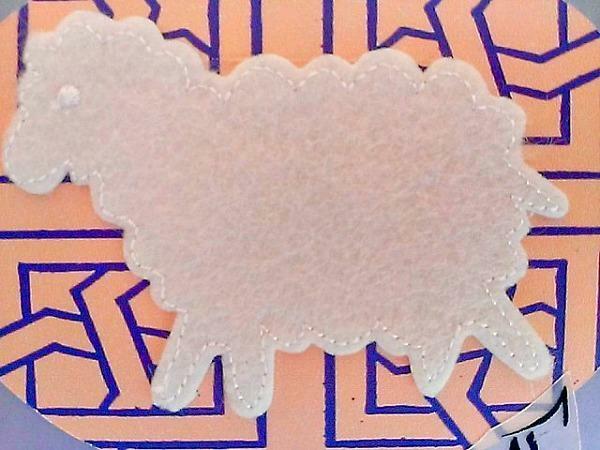 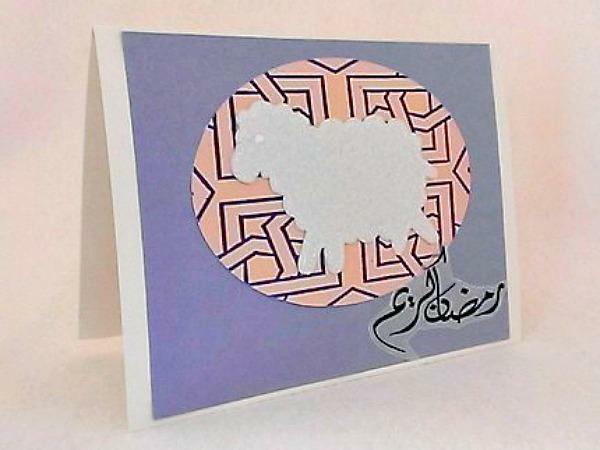 This Ramadan kareem card is perfect for a child or a lamb lover. 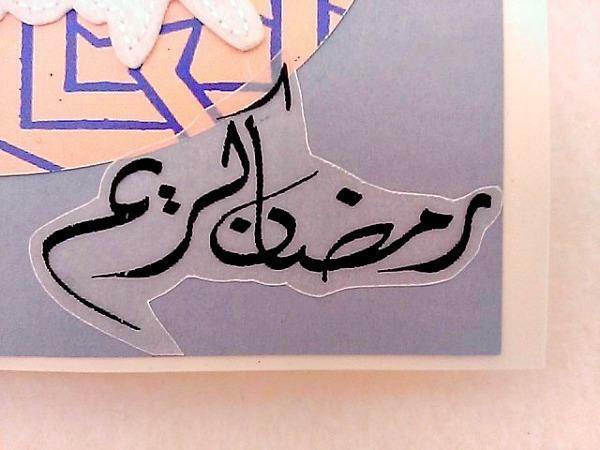 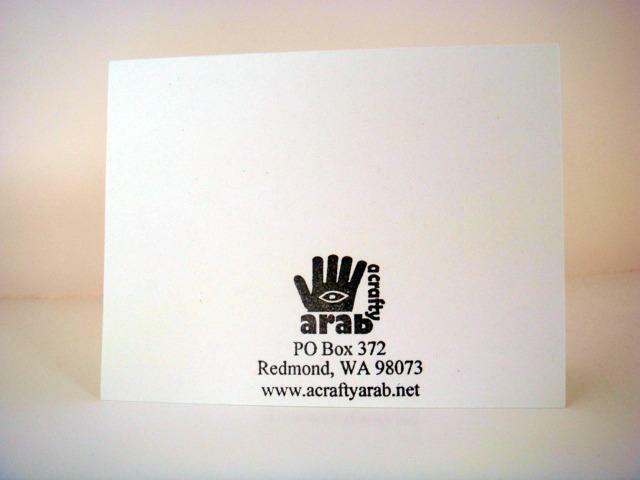 It features a sewn lamb and the words Ramadan kareem written on vellum in the corner. 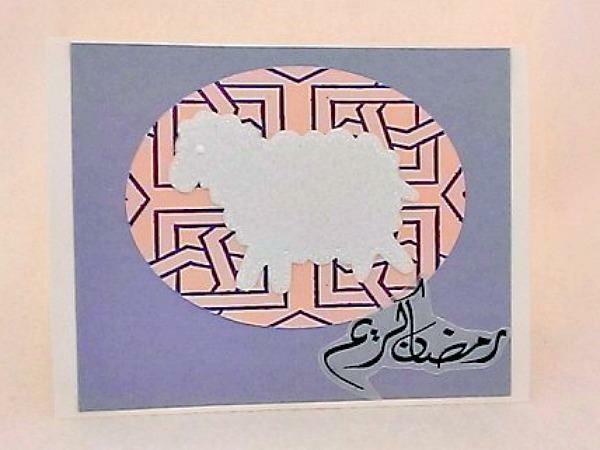 He is standing on a blue and peach geometric designed background, which was cut into an oval and placed on a blue solid background.